Ranting about Christmas commercials, decorations and products being around too quickly is a common complaint to the point of the being cliche, but with good reason. I saw a Christmas commercial yesterday. There were lights on someone's home. Halloween was just the day before. It was November. FIRST. At least PRETEND to care about Thanksgiving for a week! 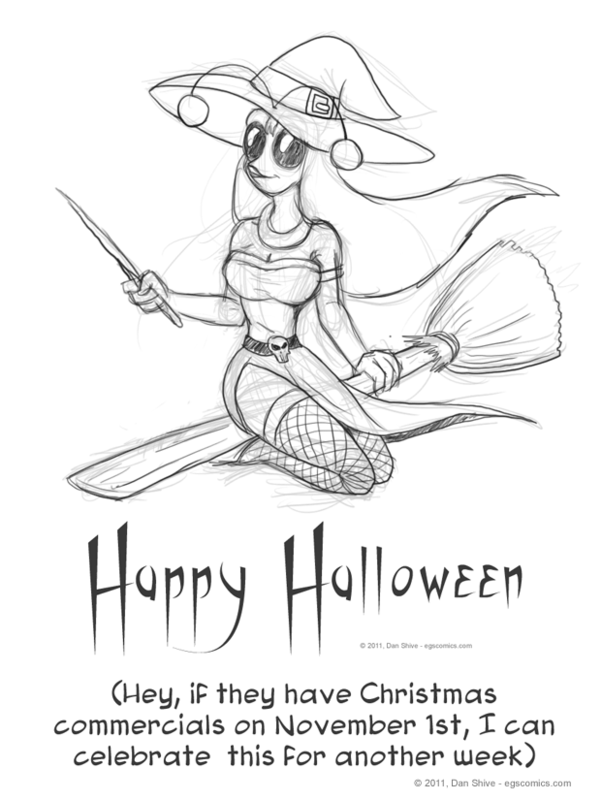 In all honesty, however, I wasn't driven to draw this because of holiday rage; that's just where the caption came from. The real inspiration was the simple fact that everything that I would have naturally sketched fell once again into spoiler territory, so... wait, what'd I do with those older sketches that were spoiler territory back then but are no longer spoiler territory now? Those are sketchbook day gold! There's the gold in there hard drives! YEE-HAW! *erhem* Anyway, Lavender as a which sprung to mind for some reason, so that's what I drew. Expect more rants about the holidays before the end of the year, because I have not yet BEGUN to be a scrooge.